We've talked a lot about how computers could replace truck drivers. In China, computers have, for the first time, replaced TV anchors, delivering news through a virtual anchor. But are you ready for computers to take over some duties of doctors? NPR's Richard Harris looks at how computer algorithms could end up being useful for interpreting mammograms and also at what could go wrong. RICHARD HARRIS, BYLINE: MIT professor Regina Barzilay had no idea she would be taking a deep dive into computers and medicine. Her research was about trying to see if a computer could use machine learning to read and decipher obscure ancient texts. REGINA BARZILAY: There is clearly no practical use (laughter). But it was, you know, really cool, and I really was obsessed about this topic - how machines can do it. HARRIS: Then, in 2014, Barzilay was diagnosed with breast cancer. It was her first encounter with complex medical care, and she found it baffling. BARZILAY: I was really surprised how primitive information technology is in the hospitals. It kind of always felt that we're, like, in a different century. HARRIS: Questions that seemed answerable were hopelessly out of reach, even though the hospital had tons of data to work from. BARZILAY: At every point of my treatment, there would be some point of uncertainty, and I would say, gosh, I wish we would have technology to solve it. So when I was done with the treatment, I started my long journey (laughter) towards this goal. HARRIS: She struck up a collaboration with doctors at Harvard and Massachusetts General Hospital, just across the river in Boston, including Connie Lehman, a radiologist who is chief of breast imaging at the hospital. She and I meet in a dim, hushed room where she reads mammograms and meets patients. LEHMAN: ...While I'm reading her mammogram. HARRIS: Step one in reading a mammogram is to determine the breast density. 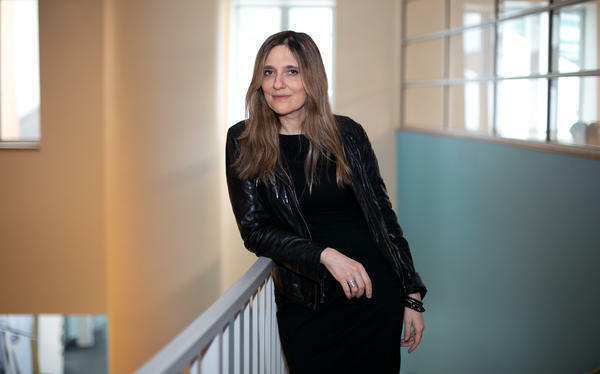 Lehman says her first collaboration with Barzilay was to develop what's called a deep-learning algorithm to perform this essential task. LEHMAN: We're excited about this because we find that there's a lot of human variation in assessing breast density. And so we've trained our deep-learning model to assess the density in a much more consistent way. HARRIS: She pushes a button to get that result and agrees with the algorithm. LEHMAN: And then I'm going to carefully search for any abnormalities on the mammogram. HARRIS: She toggles back and forth between new images and those taken at the patient's previous appointment. Doing this job is the next task she hopes computer models will take over. LEHMAN: These are the types of things that we can also teach a model, but more importantly, we allow the model to teach itself. HARRIS: This is an area that's evolving rapidly, with several scientific groups and companies vying to develop computer programs that can read mammograms. LEHMAN: The optimist in me says, in three years, we can train this tool to read mammograms as well as an average radiologist. So we'll see. That's what we're working on. HARRIS: With her read complete, she's ready to tell her patient, Susan Bergman, the results. UNIDENTIFIED PERSON: Dr. Lehman, this is Dr. Bergman. LEHMAN: Thank you so much for taking your time today. BERGMAN: Oh, thank you for having me (laughter). HARRIS: It turns out the patient is also a physician from a nearby suburb. LEHMAN: It looks really good. And I want to make sure - are you comfortable there? HARRIS: Lehman takes a few minutes to explain the computer technology that's emerging in the world of mammography. She's starting to think ahead to the time when it becomes routine and testing the waters to see whether women will be comfortable with artificial intelligence, AI, in the medical clinic. LEHMAN: ...A computer drive me around, unless there's a human there to take the wheel when necessary, so. HARRIS: One word immediately comes to mind for the 62-year-old Bergman. HARRIS: On the other hand, she says, there is also reason to welcome this technology into her medical care. BERGMAN: Computers remember facts better than humans do. HARRIS: So as long as a trustworthy doctor is still in the loop, she's OK with it. Lehman is happy to hear that, but she's also mindful that trusted technologies have not always been trustworthy. Twenty years ago, doctors adopted a computer-based technology called CAD, which was supposed to help them find tumors on mammograms. LEHMAN: The CAD story is a pretty uncomfortable one for us in mammography. HARRIS: This became ubiquitous due to the efforts of its commercial developers. LEHMAN: They lobbied to have CAD paid for. And they convinced Congress that this is better for women, and if you want your women constituents to know that you support women, you should support this. HARRIS: A few years ago, Lehman and her colleagues decided to see if this ubiquitous tool was actually useful. They compared doctors at centers that used the software with those that didn't to see who was more adept at finding suspicious spots. LEHMAN: They actually did better at centers without CAD. So we want to make sure, as we're developing and evaluating and implementing artificial intelligence and deep learning, we don't repeat the mistakes of our past. HARRIS: That's certainly on the mind of Josh Fenton, a family practice doctor at the University of California, Davis. He has written about the evidence that led the FDA to let companies market CAD technology. JOSH FENTON: It was, quote, "promising" data but definitely not blockbuster data, definitely not large population studies or randomized trials. HARRIS: And that technical clearance didn't anticipate that the software could lull doctors into a false sense of security so they paid less attention to scrutinizing mammograms themselves. FENTON: We can't always anticipate how a technology will be used in practice. 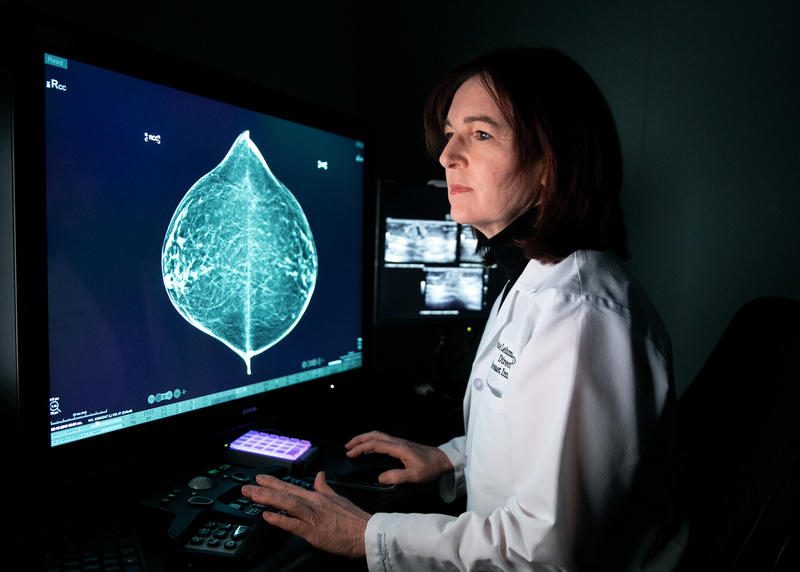 HARRIS: At MIT, Regina Barzilay is focusing on all the potential she sees in the technology, beyond reading mammograms. She wants to use artificial intelligence to predict disease before it's even evident. BARZILAY: It can be breast cancer, it can be something else. And these, I think, is - we're talking about, you know, very close horizon. HARRIS: It's not the technology of the future, she says, it's here now, at least in experimental form. The challenge will be to make sure that it actually works for patients who encounter it at their doctors. Richard Harris, NPR News. (SOUNDBITE OF GLOWWORM'S "CONTRAILS") Transcript provided by NPR, Copyright NPR.